Zucker-Pheasant Hackle Guinea Hat Trim. 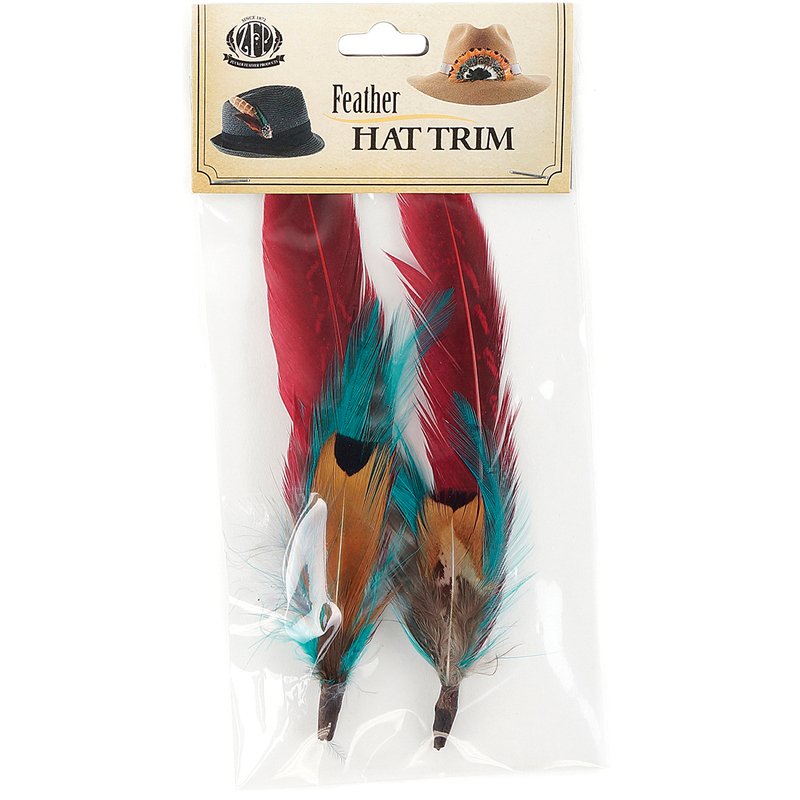 Add these feathers to a hat or pin them to the lapel of a jacket! This 7-1/2x3-1/2 inch package contains two feathers. Comes in a variety of colors. Each sold separately. Imported.